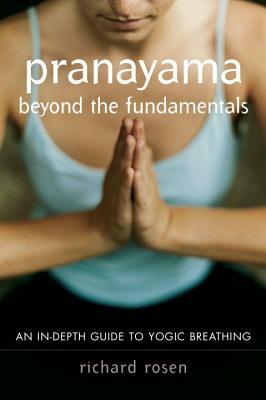 For serious students of yoga who have an established pranayama practice, this book is a follow-up to Rosen’s previous book, The Yoga of Breath. Here he picks up where he left off, offering a selection of traditional yogic techniques for those who wish to deepen their practice of pranayama and their understanding of the ancient wisdom of yoga. Rosen skillfully puts forward an array of awareness disciplines, breathing practices, mudras, and seals, interspersed with anecdotes and quotes from ancient texts. Richard Rosen is a graduate of the Iyengar Yoga Institute of San Francisco and has been teaching yoga since 1987. He is a contributing editor at Yoga Journal and director of the Piedmont Yoga Studio in Oakland, California. He lives in Berkeley, California.